My brother and his wife gave me a bundle of yard long beans from his garden. And, of course, that’s dinner tonight. 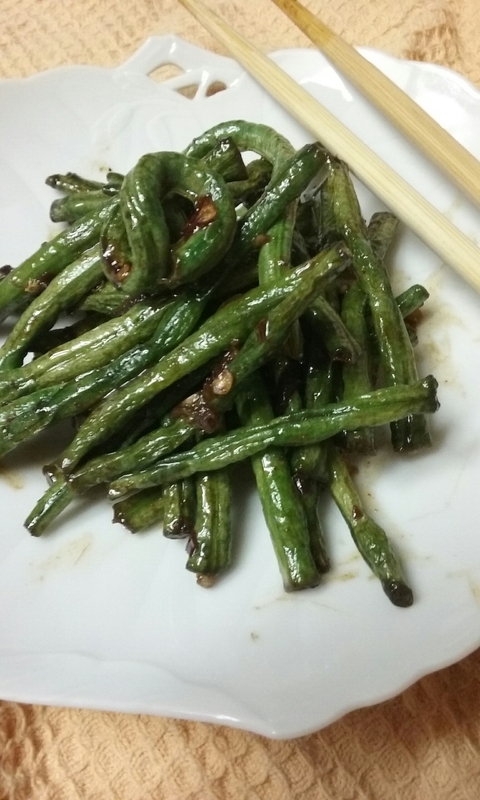 Cut the yard long beans or if there are no yard long beans, green beans will do as well. About the length of a finger is good. Remove the tips and the ends. Slice onions and garlic. Heat up oil in a pan on high heat. Throw in the onions and garlic and stir fry until fragrant. Then throw in the washed beans. Stir fry for about five minutes until beans are tender. Splash a dash of soy sauce and stir fry one more minute. Add a gauging pinch of crushed red pepper flakes. Stir fry for another minute. Serve with rice! Bought the Asian chive flower heads from the Asian store. And I was planning on cooking then with eggs. However, some shiitake mushrooms beckoned. And a stir fry was born. Stir fry a bit of pork in a hot pan with oil, garlic salt and black pepper. Then add a can of sliced bamboo mushrooms. 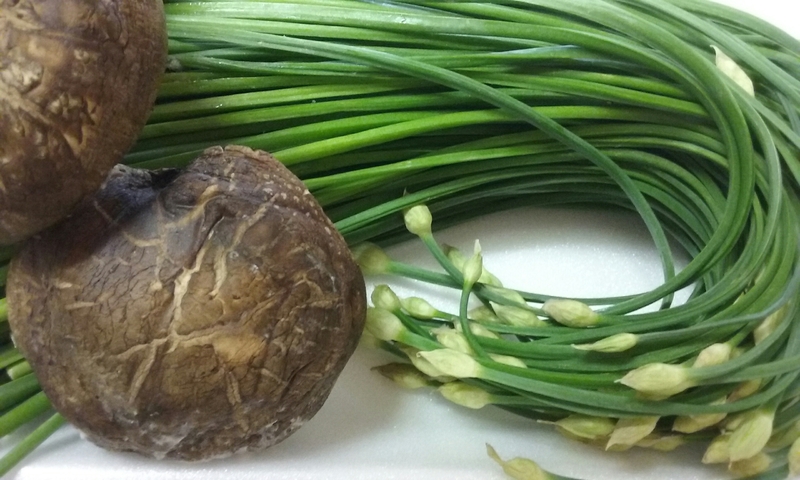 Then add sliced fresh shiitake and the chives. Stir fry until shiitake is done. Add oyster sauce and crushed cayenne peppers. A little note. Shiitake, the fresh mushrooms, work better in stir fries whereas the dried ones work better in soups. Their consistency has changed, you see, once they are dried. Yes, you do have to soak them in water. Not only that, but shiitake has a distinct smell to them. 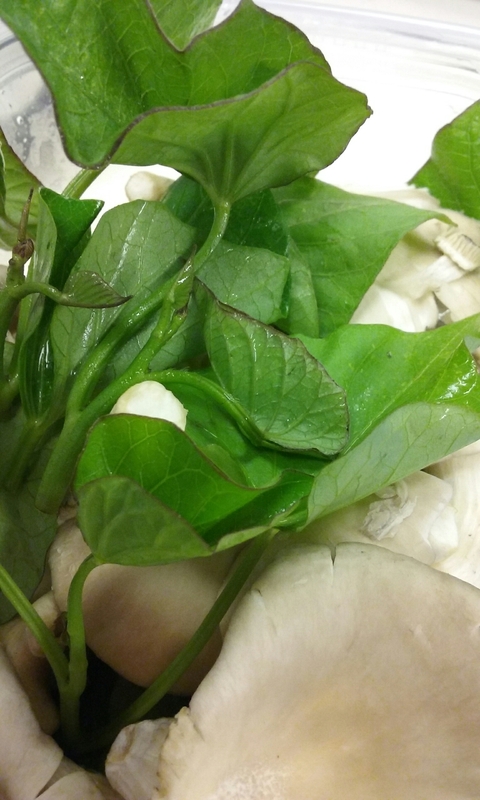 Earthy, sort of nutty… It’s not like the button, enoki or oyster mushrooms. So, if you do not like the shiitake smell, substitute them for oyster mushrooms instead. Delicious! Serve with a side of brown rice. I bought something like these during the holidays last year. 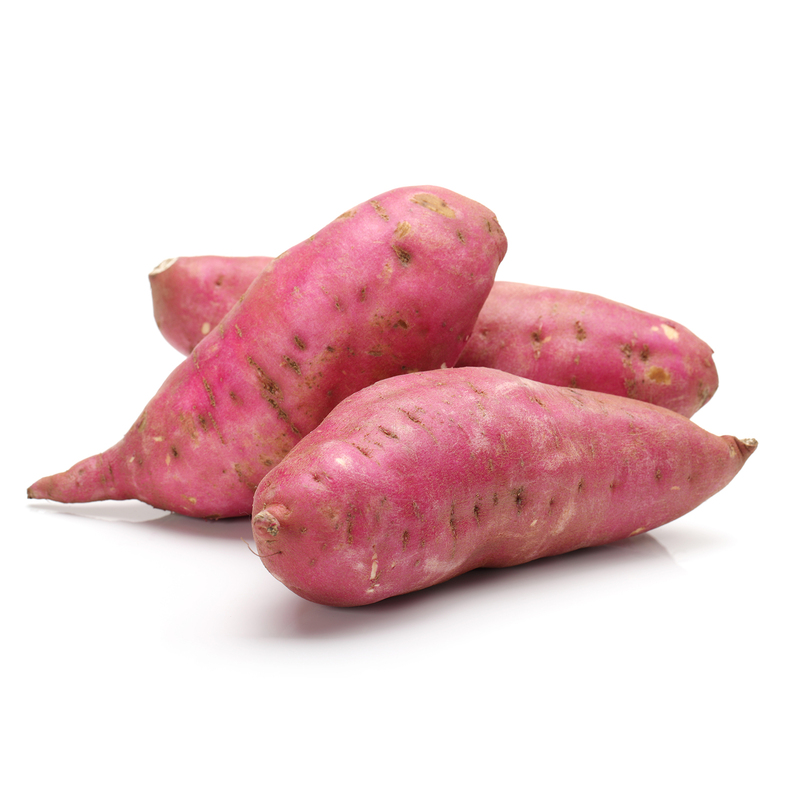 These are Japanese garnet yams. Inside are bright yellow yummies. Well, when they’re cooked. Unfortunately, I didn’t cook a few. And over the winter, they sprouted. So, in the spring, I tosses them into a pot outside my kitchen. And they grew into these. Well, instant veggies! I take the tender tops and some of the young leaves and wash them. See, those pretty greens? They’re just like spinach! Today this is lunch. 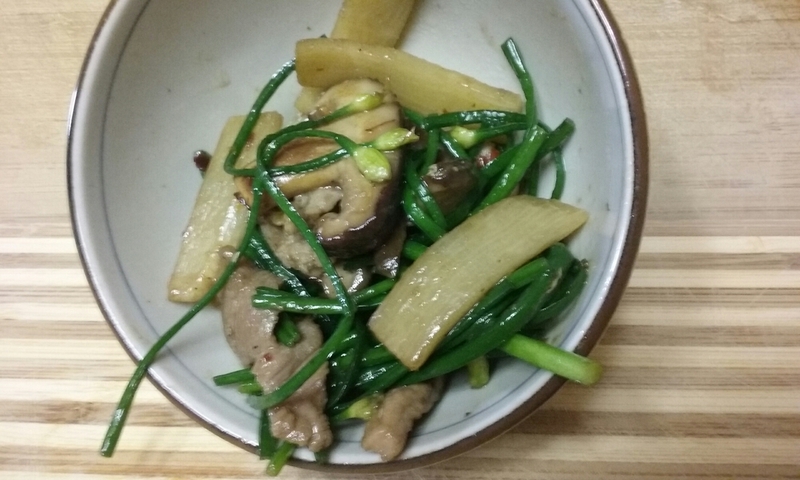 Yam leaves and oyster mushrooms cooked with instant bowl ramen. 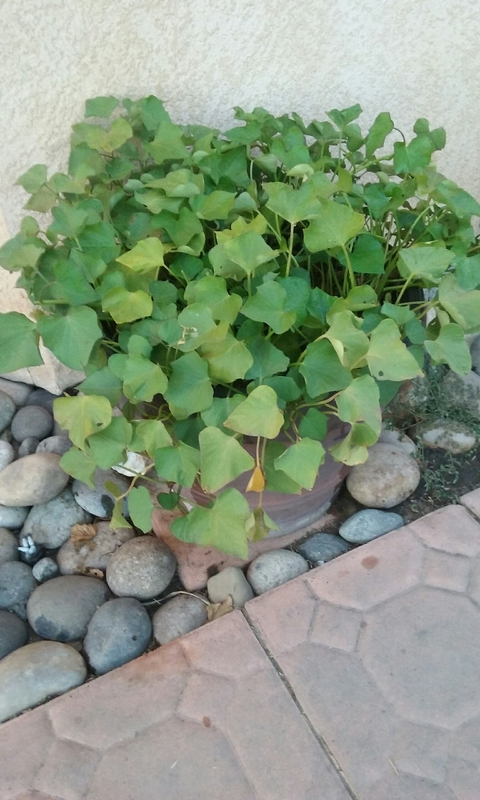 So, if the yams you bought from Thanksgiving starts to sprout, plant them in a pot and harvest the tender tops and some leaves! You can also toss them into pasta!